Today, I bought a Pokemon Majestic Dawn booster pack with Empoleon on it. I choose a random pack at the store and was hoping to get Dialga,Mewtwo,or a Lv.X. 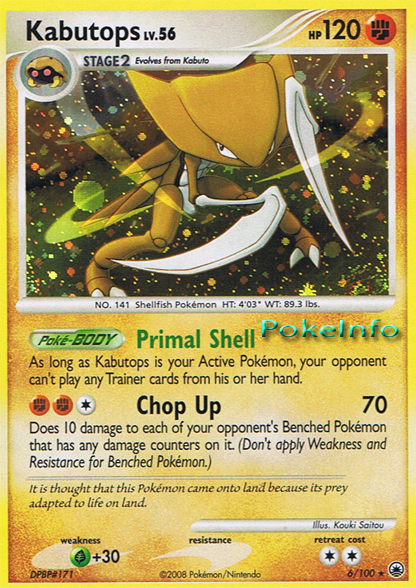 But I actually got that awesome Kabutops card. I was so happy because that card is really hard to find, so here’s a picture.